My name is Corinna, the blogger behind For My Love Of, and monthly contributor here on the Love Nerds. 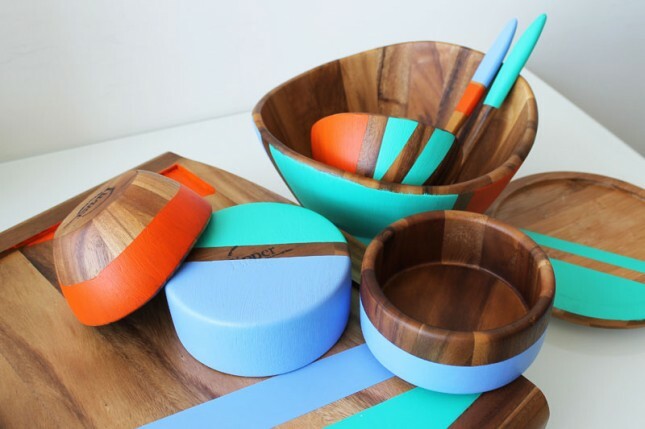 This month I wanted to share with you a fun trend in home decor- Color Block. I’ve scoured the grand and vast internet to bring you a collection of fabulous Color Block projects and tutorials. Such an adorable way to incorporate vibrant pops of color in the kitchen. Open shelving is still trending high for kitchens and I bet we could all use cute dishes like these to display on them! 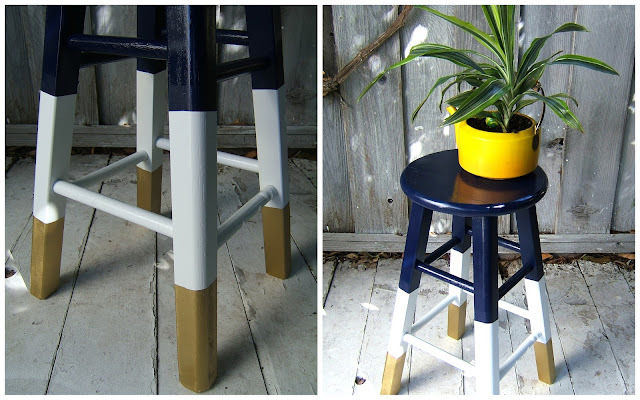 Source Brit + Co.
Stools like these are so easy to get your hands on, and the method to getting this look couldn’t be any easier! Source Nine Red. While I can still appreciate the functionality of a clock with numbers, I just can’t help but adore how fun this clock it. Source Almost Makes Perfect. There are so many ways to DIY a coaster, but this one is so easy you just have to give it a go! It also makes for a great way to use up leftover paint while re-incorporating the color in your decor. Source Penelope & Pip. Neon is also highly trending right now which makes this DIY a must. The instructions are straight forward and the end result is so rad! 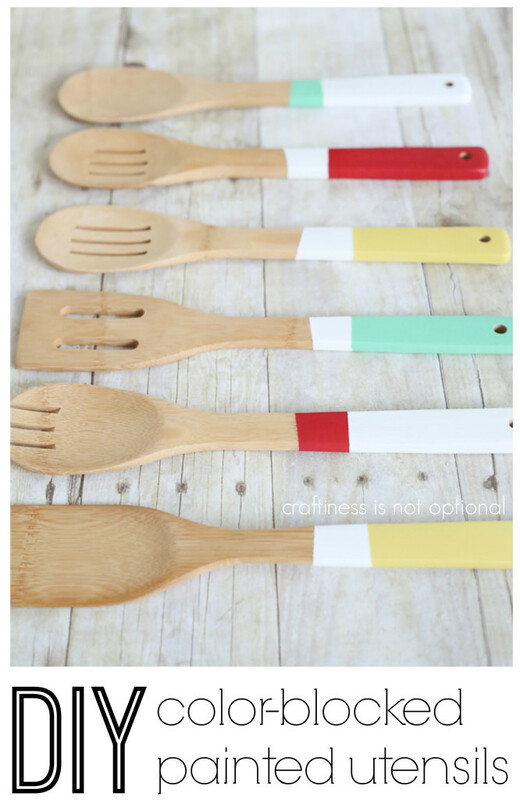 Source Modernly Wed.
An alternative wooden utensil color block tutorial. This craft can be done so many ways! Source Craftiness Is Not Optional. It’s summertime and I know my porch could use a great pop of color like these precious pots. You can totally customize these to fit with your favorite colors. Source A Beautiful Mess. These coasters require a bit mroe intricacy but aren’t they fun? The details, colors, and geometry would be really fun for outdoor eating areas! Source Lolly Jane. I totally went there and am including the iconic Martha Stewart’s color block shower curtain. I adore the bright jewel toned colors, they’re so cheerful! Source Martha Stewart. Mandi just finds the funnest ways to include a trend into home decor. You could color block any headboard. Go for it! Source Vintage Revivals. And finally, I wanted to share with you one of my own Color Block crafts. 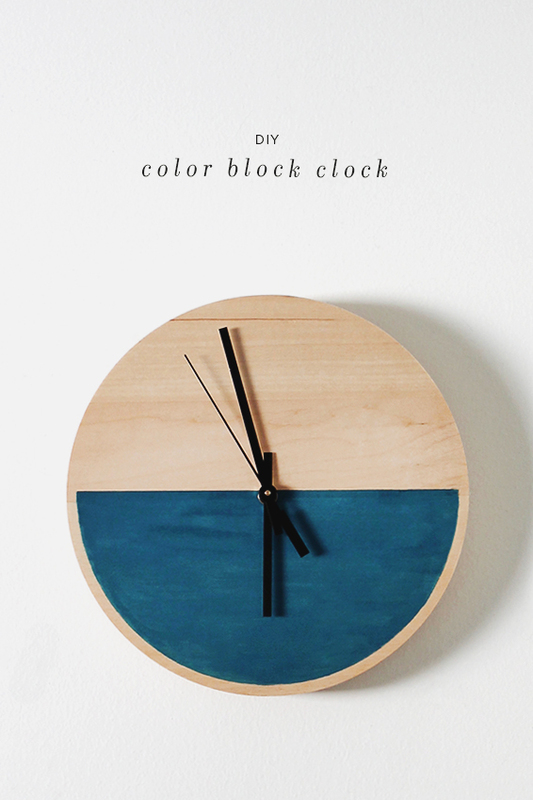 Super inexpensive and an easy way to add that Color Block trend to your home. Source For My Love Of. 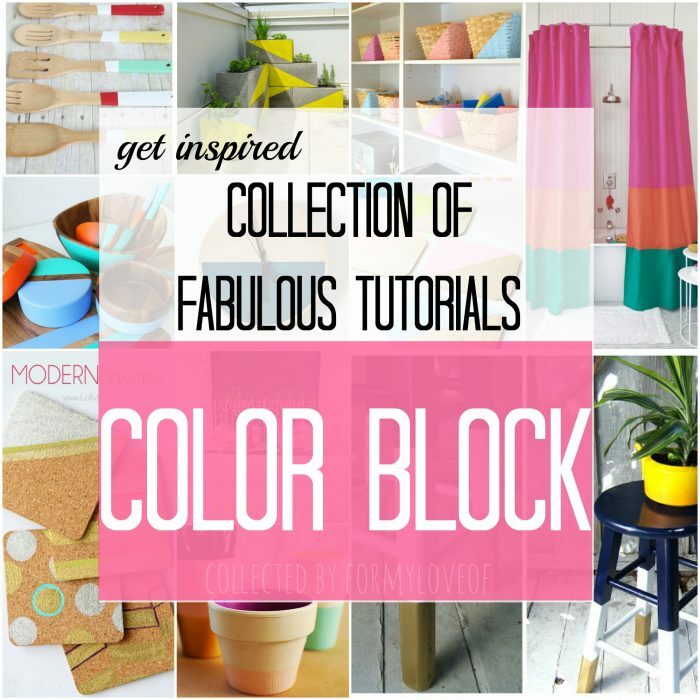 I hope you have enjoyed this collection of great Color Block tutorials. If you enjoyed any of the specific projects, please visit the original blog posts and be sure to pin the projects! Be sure to share your favorite Color Block projects in the comments below!